The advantages: Even more stable rods and poles with better connectors and corner parts giving the box an optimal grip and sturdiness. The fabric has become even more high-quality, beeing thicker and tighter than before. 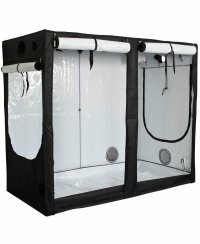 The whole tent is made from one piece now and can be mounted even simpler. The box features a door on the frontside which can be opened on both sides top to bottom. Fixed with reusable wire-straps the bottom inlay stays in place and ensures an optimized grip. 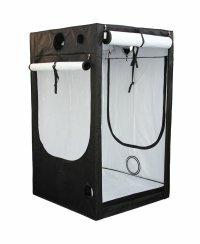 On the sides of the box you´ll find the useful doors you might know from the GrowLab grow tents allowing you to take care of your plants from different sides.